The MPS in Applied Economics and Management with the CEMS Certificate in International Management will immerse you in some of the most culturally and internationally diverse classes at Cornell. With peers from around the world to provide you with different perspectives and the foundational knowledge in international management provided by the Cornell SC Johnson College of Business and more than 30 top-tier, international business schools, you will develop the critical business and international expertise needed to be an industry leader. At the end of the Cornell Dyson MPS program, you will leave prepared to move into international business where independent research skills and thought leadership are valued in careers in consulting, policy, management, and research, across all industries. The CEMS Certificate in International Management is exclusively offered to our MPS in Applied Economics and Management (AEM) students. The certificate is a prestigious supranational business award that is widely acknowledged as the best passport for an international career. CEMS has consistently ranked in the top 10 since the Financial Times Global Master’s in Management ranking began in 2005. 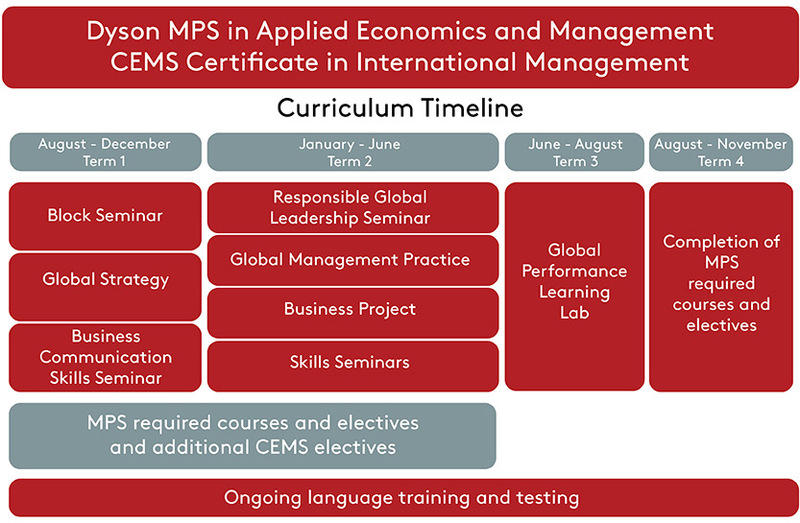 Are You a Good Fit for the MPS in AEM Program with a CEMS Certificate in International Management? Application requirements for the CEMS Certificate in International Management mirror those of the MPS in Applied Economics and Management program, with the additional requirement that candidates show proficiency in a second language. If you are unsure whether you meet the requirements, simply contact the admissions team before you start your application at gradadmissions@business.cornell.edu. 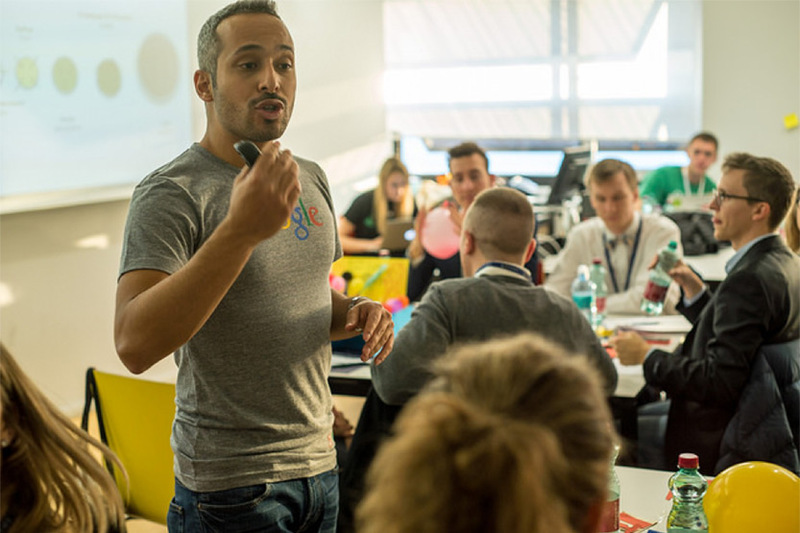 Each year, more than 1,300 students from 70 nationalities are admitted to the CEMS version of their home school’s MPS program. With alumni of the program now in excess of 13,000, surveys show great international mobility upon graduation, with over 50 percent of alumni living and working abroad. 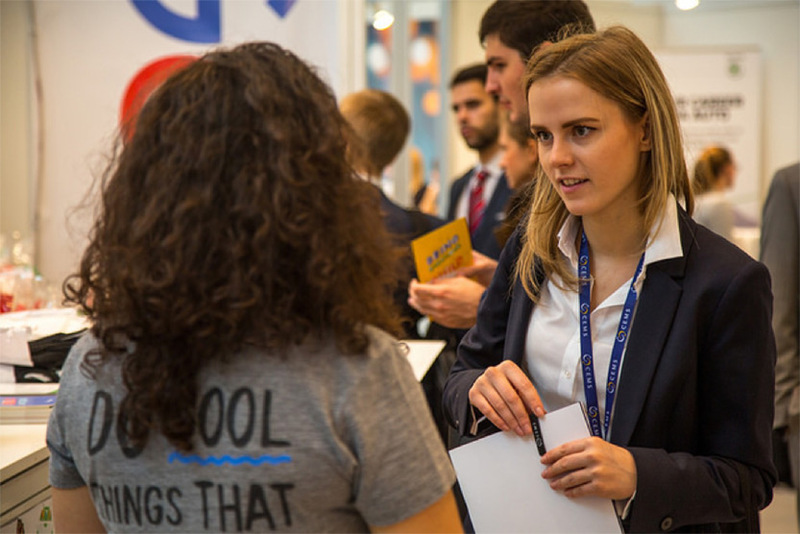 CEMS graduates have access to more than 70 leading organizations with strong international reputations and an interest in the development of international management education and recruitment from all CEMS corporate partners. The CEMS Certificate in International Management at Cornell offers the MPS in AEM students incomparable global access. Through CEMS, Cornell students are guaranteed one or two terms abroad at one of our CEMS academic member schools. Common curricular content is in place in all member schools. Within these general program rules, jointly established criteria have to be met. Member schools offer their interpretation of the curriculum with a clear local identity. All CEMS graduates receive a masters degree from their home institution, as well as the CEMS certificate. In addition to their Cornell graduation, students will be invited to attend the CEMS graduation ceremony following completion of all MPS and CEMS requirements. At the CEMS ceremony, students will join fellow CEMS students from around the globe in an international celebration.